Queen Charlotte Sound / Tōtaranui is the easternmost of the main sounds of the Marlborough Sounds, in New Zealand's South Island. In August 2014, the name of the sound was officially altered to Queen Charlotte Sound / Tōtaranui. as part of a Waitangi Tribunal settlement with Te Āti Awa. Like the majority of its neighbours, the sound runs southwest to northeast before joining Cook Strait. To the east of the sound lie Arapaoa Island and Tory Channel. Interisland ferries use Tory Channel and Queen Charlotte Sound on their journeys between Picton and Wellington in the North Island. Kenepuru Sound, an arm of Pelorus Sound, lies to the northwest and runs parallel to Queen Charlotte Sound. Some of the small side arms of the two sounds are only hundreds of metres apart, but are separated by a steep serrated range of hills. Not surprisingly, one of the settlements on this stretch of coast is called Portage, named for the simplest method of passing between the two sounds. The sound is a drowned river valley (or ria). The town of Picton, the northern terminus of the South Island's railway and state highway networks, lies near the head of the sound. Other settlements are small and isolated—often simply individual properties. Due to the rugged nature of the coast, for many of these access is by boat only. It was from a hill on Arapaoa Island in 1770 that Captain James Cook first saw the sea passage from the Pacific Ocean to the Tasman Sea, which was named Cook Strait. Captain Cook sheltered in Queen Charlotte Sound during each of his three voyages of exploration at various points, and named it after Queen Consort Charlotte of Mecklenburg-Strelitz. The area was a base for whaling throughout the 19th and early 20th centuries, notably at Perano Head on Arapaoa Island. Queen Charlotte Sound has calm water and is popular for sailing - a marked contrast to the notorious waters of Cook Strait. Many ships have been wrecked close to the entrance to the Sound, most notably in recent years the Russian cruise liner Mikhail Lermontov, which sank in 1986 in Port Gore after striking rocks. One life was lost in the incident. ^ "NZGB decisions". Land Information New Zealand. August 2014. Archived from the original on November 21, 2015. Retrieved 7 November 2015. ^ Nicoll, Jared (24 December 2012). "Iwi looks for co-operation with settlement". Marlborough Express. Stuff Limited. Retrieved 4 June 2018. ^ Google (10 June 2018). 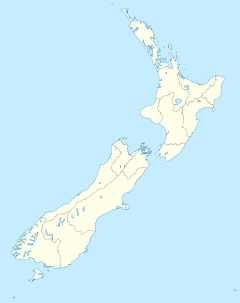 "Queen Charlotte Sound (Totaranui)" (Map). Google Maps. Google. Retrieved 10 June 2018. ^ "Travelling between New Zealand's North and South Islands". The Great Journeys of New Zealand. KiwiRail. Retrieved 6 June 2018. ^ Nicol, A (June 2011). "Landscape history of the Marlborough Sounds, New Zealand". New Zealand Journal of Geology and Geophysics. 54 (2): 195–208. doi:10.1080/00288306.2010.523079. ISSN 0028-8306. ^ McKinnon, Malcolm. "Marlborough places - Picton". Te Ara - the Encyclopedia of New Zealand. Retrieved 10 June 2018. ^ McColl, RW, ed. (2006). Encyclopedia of World Geography Three-volume Set (1st ed.). New York: Infobase. p. 862. ISBN 9780816072293. Retrieved 4 June 2018. ^ Lace, William W. (2009). Captain James Cook. New York: Chelsea House Publishers. p. 34. ISBN 9781604134162. Retrieved 4 June 2018. ^ "Perano Whaling Station". New Zealand History. Ministry for Culture and Heritage. 3 September 2013. Retrieved 6 June 2018. ^ O'Neil, Andrea (8 April 2015). "150 Years of News: Nightmare cruise on the Mikhail Lermontov". The Dominion Post. Stuff Limited. Retrieved 4 June 2018. Wikimedia Commons has media related to Queen Charlotte Sound. This page was last edited on 15 December 2018, at 04:07 (UTC).